Scott Lewis Homes, Inc. specializes in the design, remodeling and building of superior custom homes in the Central Illinois area, working hard to ensure your building experience will be memorable, rewarding and enjoyable. Scott Lewis Homes, Inc. also has a home remodeling division utilizing the same high quality materials and personalized approach to building. No matter if you are looking to simply add on to your existing home, finish the basement, or make over an existing room in your home, we are confident you will be pleased. By listening carefully to the needs of the client, we are able to turn dreams into a concrete reality. You can expect prompt and exceptional service from beginning to end. We pride ourselves on a personal approach to business. 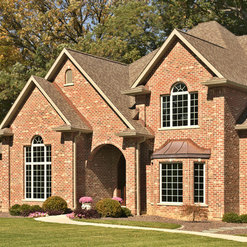 Scott Lewis Homes, Inc. is located in Illinois, and service the Greater Peoria Tri-County Area. Contact us soon to discuss your needs. After having a house fire four days before Christmas in 2017, our family was at a loss and we dreaded what the future held. We were overwhelmed with all of the things we had to deal with and handle. Obviously, one of the biggest stresses would be to find a builder to help put the pieces of our lost home back together. Pre-fire our home was less than four years old and the experiences we had with our original builder were not ones that we wished to relive. Lucky for us, Scott Lewis Homes was recommended to us by multiple people who had great experiences with him and his team. We of course knew of his reputation and of his great work with the St. Jude Organization. We gave him a call and immediately he and his project manager Greg came to the remnants of our home and so began not only a builder/client relationship but also a friendship that Im sure will last a very longtime. They were not only patient and understanding of our situation, but worked with us through each and every aspect of the planning and building from start to finish. They kept us informed and updated through each step from the tear down to the last coat of paint on the beautiful new home. We can not say enough good things about the entire team at Scott Lewis Homes, simply just a great group of people. Their knowledge, expertise and professionalism is second to none. The work and craftsmanship is simply phenomenal. In the end, our home was finished ahead of schedule and turned out better than we could have ever hoped for. 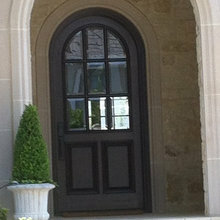 Its not easy to find a builder that not only does fantastic work, but is trustworthy, understanding and compassionate. Scott Lewis Homes is the entire package. We will recommend them to anyone we know without hesitation. We can now say without a doubt, we have a great home that will last for years to come. Thank you Scott, Greg and Mic! Scott Lewis Homes just finished our custom built home. They were excellent throughout the entire process - helping us finalize our house design, selecting the right lot and setting for the home, providing pricing and a build schedule early and updated them often throughout the process. Their team was totally engaged, easy to access, very professional and quick to answer any questions to help us get the home we envisioned. We incorporated some reclaimed doors and features into the house and they work with us to integrate those special features into the home. I would highly recommend this team to anyone, they are first class. 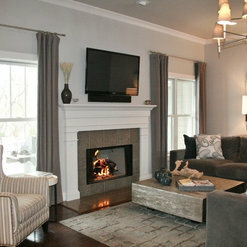 The building experience with Scott Lewis homes was unexpectedly and refreshingly pleasurable. The horror stories we had heard from others regarding their Builders and the building process, were nowhere to be found. No delays, no cost overruns, decisions always made with our budget in mind, sound advice and counsel always being offered. when there were minor issues, they were resolved quickly, equitably and amicably. Mark and Scott along with Michelina, Scotti, and the rest of the staff were accommodating and always available to address any questions or concerns. most of all they were understanding of our needs and patient with these neophytes to building a home. The subcontractors and vendors Scott selected were equally friendly, knowledgeable, devoted to Quality and customer service. The overall craftsmanship was impeccable. A unique feature we had not heard of before, was the services of a designer/decorator budgeted into the process. Amee Harrer's assistance was invaluable in managing the big-picture as well as the details. She accompanied us on numerous trips to vendors helping accessorize the kitchen, bathrooms, flooring and Tile, lighting, closets, etc. Amee often offered ideas and opinions, but was never obtrusive or overbearing. She truly took a personal interest in the project going above and beyond in many instances. In summary, to say we were satisfied is a huge understatement. we were elated to be in our new home (which has received many compliments) on time and on budget. We came away from the experience feeling we had made many new friends rather than feeling we had just completed a business transaction with strangers we will never interact with again. 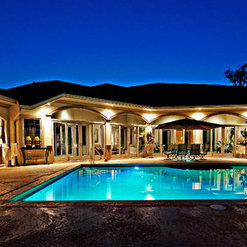 Scott Lewis home rates our highest recommendation and utmost confidence. Scott and his team, especially Mark, made the entire building process a low stress and fun experience, from when we were looking for a lot to purchase until the day we moved in, and surely thereafter. This was our first build and most likely our last, since this house is everything we could hope for. But if we were to build again, we would do it again with Scott, no question. Thank you for supporting our vision for this house. It is a dream come true! We just recently moved in to a Scott Lewis spec home approximately 6 weeks ago, and we couldn't be happier! Scott and his team have been so professional, timely, helpful and accommodating throughout the process of finishing our basement and backyard after they had completed the 1st 2 floors before we purchased. Now that we are in the house, we see all the fine details that went into building this house. 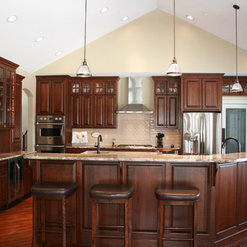 Scott and his team chose quality fixtures, cabinets, flooring, trim, doors, faucets and tile for this home. The home is very well-constructed and has so much character. His team was so helpful with choosing products, and they are so knowledgeable and creative. They definitely stuck to their schedule and never over-promised. Scott is very hands-on. You see him on the job site all the time. He doesn't just settle on a plan and disappear until it's finished. He was very accessible throughout the building process. I would never hesitate to recommend Scott and his team to anyone considering building. They go above and beyond to make a stressful time more relaxing for the new homeowners, and in the end, you have a very well-constructed, quality home. We love our new home and all the effort they put into making it such a wonderful place!! 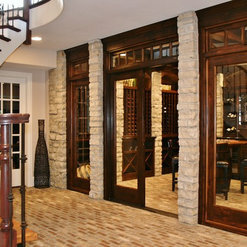 PS- I attached photos of the interior and exterior of the home. Our pool house is something to pay attention to, because that really represents their creativity and attention to detail. We are thrilled with the landscaping and how the entire backyard came together. 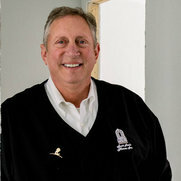 Scott Lewis made the process of building a new home so easy for me. Construction began just as soon as truck traffic was permitted on our county road. I made most of my selections in the early stages of the build because of our nursery business ramping up for the spring and summer. They promised that the house would be complete within six months of breaking ground, and actually finished three weeks ahead of schedule and within my budget. I couldn't be more pleased with the quality of workmanship. 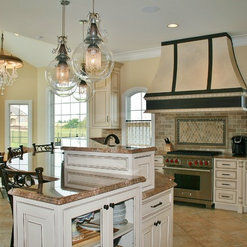 I would highly recommend contracting Scott Lewis Homes to build YOUR new home. My husband and I hired Scott and his team to build our "dream house" - starting in 2015. From the start, we trusted him and loved working with his team. The planning process was efficient - he was flexible in helping us make our home truly "custom" to what we wanted, but was honest in his advice on things we should consider we hadn't thought of - which we really appreciated. The actual build process was probably as low-stress as it could have been. All deadlines met or exceeded - often we were the ones holding up the process. All costs met with no issues at all - the only overages were decisions my husband and I made. The quality and professionalism of the various teams/individuals working on our house was exceptional. During the same time - we had several friends building homes - and they were wrought with frustration, stress and missed deadlines. My husband and I would be telling everyone our build was going perfectly (we were so relieved that we had gone with Scott when we heard these stories). Fast forward - we're in our home - on time - and it's perfect. 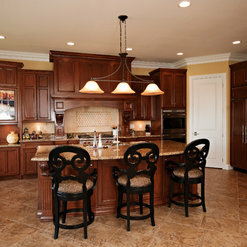 the craftsmanship, quality and details are simply not comparable to other new homes we've seen. The follow-up and availability of the team after we "closed" has not changed - they're wonderful. I would recommend Scott Lewis and his team to anyone - at any price range. We truly felt taken care of, our dollar was their dollar. They not only built our dream home that we know will be integral to our family for many years - they also built a lasting relationship with us! Hire them! After loosing our home to the Washington tornado, Scott was our only choice of builder. His staff was most helpful during a very difficult time, helping us through our uncertainties and providing guidance. Build quality and attention to detail has been outstanding. Changes required once construction started were handled quickly and seamlessly. The finest builder in the area. If you can dream it, he and his staff will build it. After we lost our home in the Washington tornado, Scott Lewis and his staff were incredible through the whole rebuilding process. They went above and beyond every step of the way even though they were in high demand in the community. We absolutely love how solidly our home was built, & we appreciate the care that went into the details. Scott and his staff uphold a high level of integrity, and we knew we could trust them completely. We are at the tail end of building our dream home with Scott and his incredible team. From the very beginning we felt that they not only understood what we were trying create in our home but got excited about it right along with us. There isn't one area of our house that the attention to detail has been overlooked. I am so looking forward to the first time I can host a gathering with friends and family in this beautiful space we have been blessed to call home. There will be photos on here as soon as we get all moved in. We've always dreamt about building a custom home and have been impressed with Scott's gallery of homes and his reputation. When we came across a listing for a Scott Lewis Home, we were immediately intrigued. From the first meeting with Scott and team to discuss the home, we knew that he had our best interest at heart. Luckily for us we came in at just the right moment to customize it and create our dream home. From the Counter Tops to lights, door knobs to landscaping, Scott and his team made the process of building our home an easy one. We not only walked away with our fairytale ending (just look at the house!) but made some wonderful friends along the way. Building is a very involved process, but Scott, Mark, and the team of very competent, capable designers and craftsmen made it go very smoothly. Having built several homes with other builders, we can truthfully say that this was the most enjoyable experience. And the reason for that is the Scott Lewis team. From Scott to design consultant Brianna, to Michelina in the office and of course, Mark the project foreman, everyone was available and ready to take care of any concerns. We would highly recommend Scott Lewis builders. 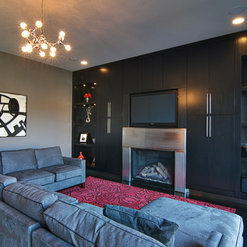 Commented: love stainless steel fireplace surroundYes that was custom done for our client. If we can help you with a project like this don't hesitate to contact us we would be happy to help. Commented: CountertopsYes, it is granite and the color is African Ivory. Please let us know if we can help you with anything else. 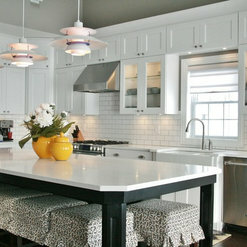 Commented: Love the barstools! Where were they purchased?I'm pretty sure the owner ordered them on line from Front gate.